Many of the products we manufacture have very different formulations. The media that we use is designed to not only provide you with the most accurate results but visually distinctive dependent on the product type and the level of bacteria found at the original testing location. We have a variety of products in our range that will provide 'Targeted Detection'. Together with various combinations of 'Total Count' slides. This means that you will be able to assign a specific test for your desired requirements. 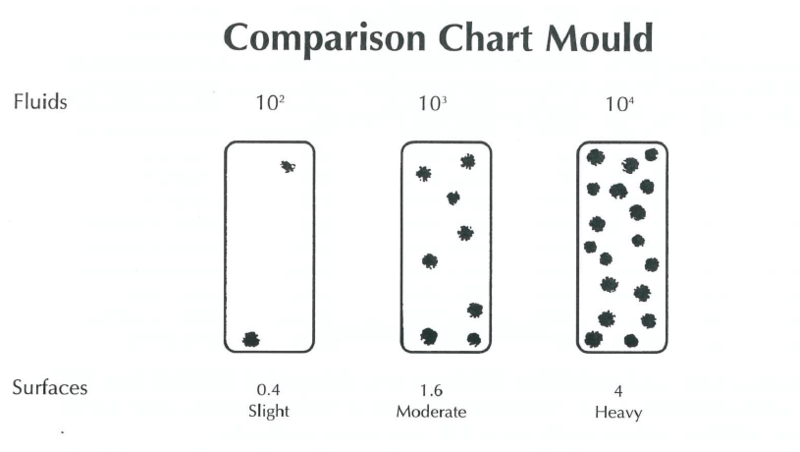 Within each of the boxes supplied we provide a handy comparison chart to demonstrate what level of contamination the tested area has. 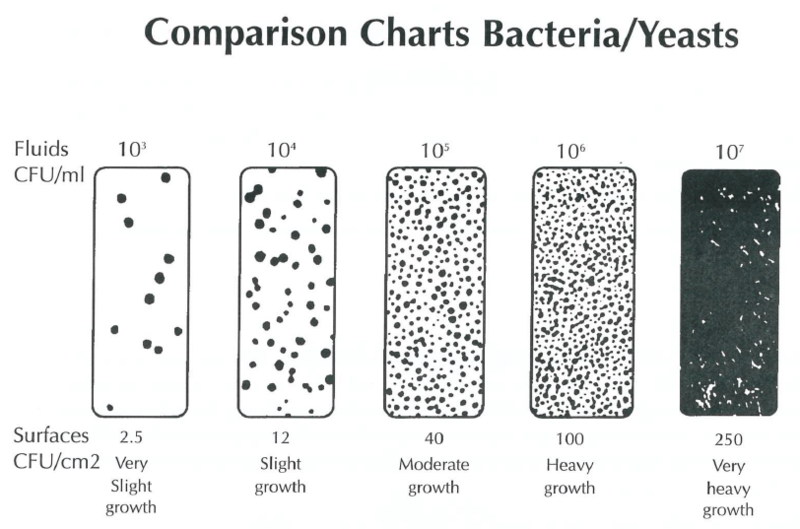 This is measured by the coverage of the media by the bacteria recovered from the sample or area tested. Recommendations, should you find your slide with high levels of growth this should be investigated internally and the necessary protocols introduced. We recommend regular testing to ensure your regimes are being maintained and bacteria levels are as low as possible.